This LBD is perfect for those off-duty days. 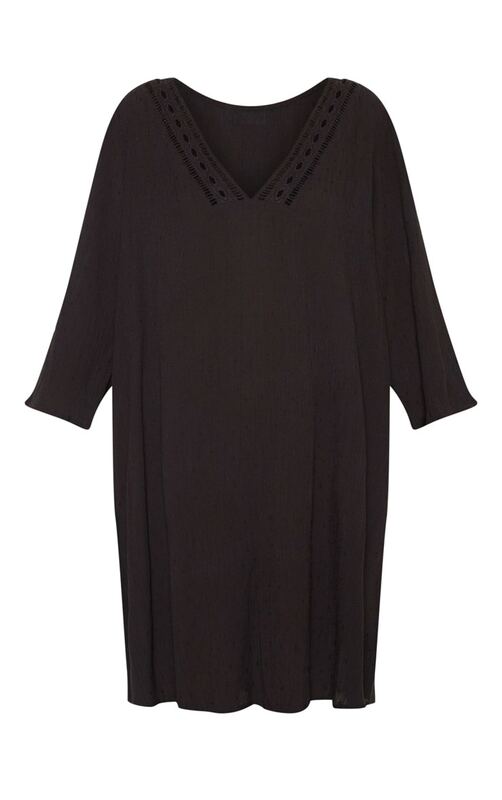 Featuring a black material with crochet detailing and a loose fit. Team these with sandals and a mini bag to complete the look.